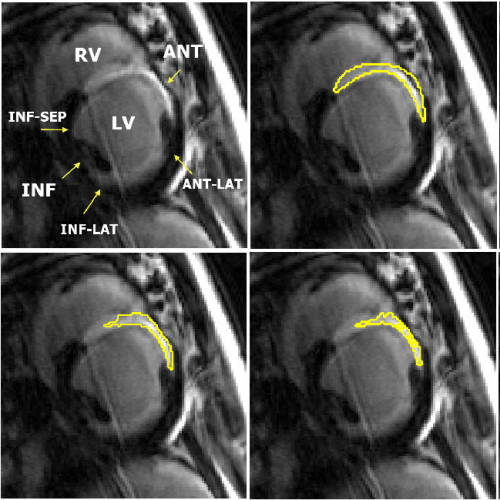 A benchmarking platform for myocardial infarct segmentation algorithms of the left ventricle. The image database consists of 30 multi-center, multi-vendor, and multi-resolution datasets. Results are awaiting publication in a leading journal.